Ok ok ok. We’re sorry to have kept you waiting. Lion taming takes time. Good news Mac lovah: if you’re reading this, you shouldn’t be. You should instead be over at http://www.presonus.com/technical-support/downloads/drivers-software/ merrily downloading the latest releases of FireControl 2626 and Universal Control 1.5.2! Please note that the FireControl 2626 update is ONLY for Lion users. FireStudio users who are running earlier versions of Mac OS X, or who are using Microsoft Windows do not need and should not install this release. With this release, all FireStudio-series interfaces, including discontinued models, are compatible with OS X Lion. 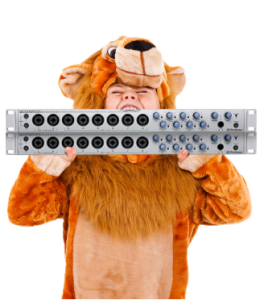 PreSonus encourages you to rejoice responsibly.